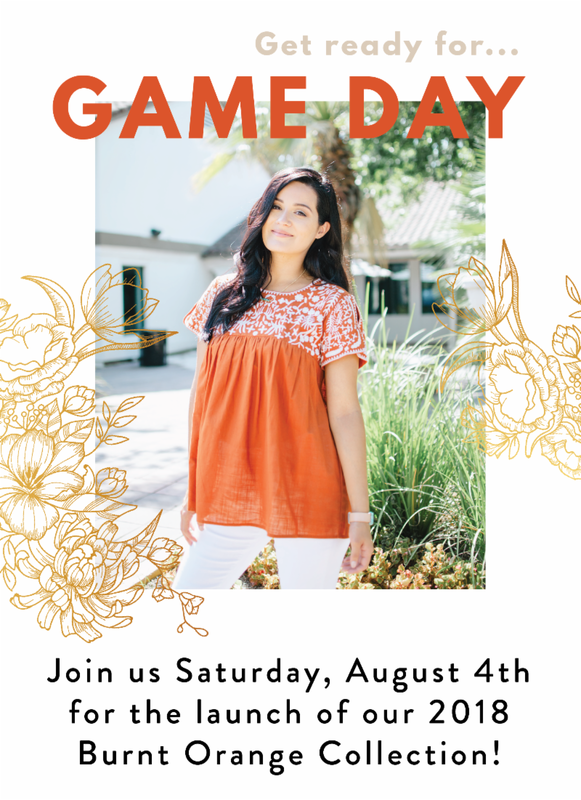 One of my favorite days of the year (and the most harsh on my pocketbook) is Adelante Boutique's Game Day sale. This Saturday half of the store will be converted to basically every cute burnt orange top or dress you could ever want. I didn't go to UT but I like to fit in - so I always go big at this sale. As in, hide the bags in the trunk of the car big. There are so many cute pieces to choose from even if you're not a longhorn. Maybe I'll see you there!